Pawns of The Deadly Due! 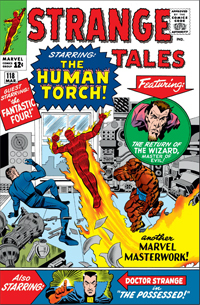 The first story of Strange Tales #126 features The Human Torch and The Thing, but this time with a bit more Fantastic Four support then we are used to. Of course the Duo are taking on another Duo of Former fantastic Four Villains, The Puppet Master and The Mad Thinker. In this story the Puppet Master and Mad Thinker team up, and have a plan to take out the Fantastic Four, part by part; first by getting the thing to destroy the human torch. But then, like all plans, nothing is ever as perfect as it seems. 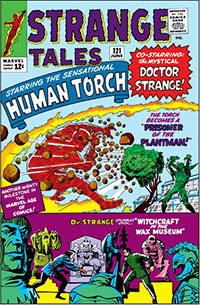 The first story in strange tales #124 features the human torch and the thing – starting this issue his permanent partner for this feature – working together the face-off against a newly improved Paste-pot Pete. 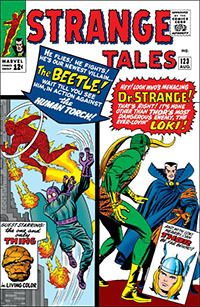 In this issue to meet up with a recently freed Paste-pot Pete, whom was given early release for helping the Avengers. With his newfound freedom – in typical super villain fashion – he chooses to pursue vengeance against human torch for his prior defeats. The Torch meets The Iceman! 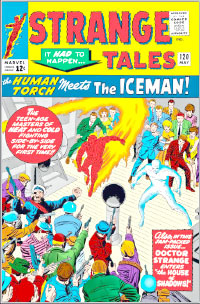 This review is for the human torch feature in Strange Tales #120, where we have him side by side with the Iceman for the first time. But two questions come to mind right away: what brings the two hero’s together? and can they get along any better than The torch and spider-man? 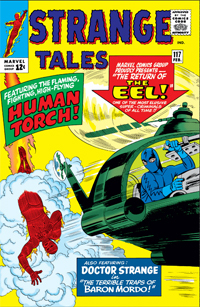 This comic book review is for the Human Torch Story from Strange Tales #119, Titled “The Torch Goes Wild!”. 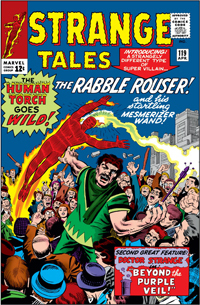 But is this tale, featuring the unheard of Rabble Rouser good, or just Strange?